Syrio Forel = Jaqen H'ghar? and possibly even the "kindly old man" in Braavos? This issue has indeed been brought up before, but a recent episode of the show seems to have revived interest in the theory, so why not rehash it? First, I don't think Syrio can be both Jaqen and the kindly man, as Jaqen (or rather, his new persona) is in Oldtown impersonating a pigboy. But in any event, I've recently started warming up to the theory, even though I started out disliking it. I think one of the reasons why I didn't buy it at first was it seemed strange to me that the gaolers in the dungeon wouldn't notice that one of their bald prisoners suddenly turned into a Lorathi with two hair colors. I suppose you could make the argument that the gaolers don't really care enough about their prisoners to take note of them, or that two different gaolers handled Syrio/Jaqen when he entered/exited the dungeon. But that explanation was still unsatisfying, because it didn't make sense why Syrio would even want to change into a Lorathi in the dungeon. I mean, how exactly would that help his situation? If anyone did notice, he'd have a lot of explaining to do. However, it's only now that I realize (and please forgive me if everyone else has already figured this out) that Syrio simply could have changed after coming into Yoren's possession. This explanation works for me for a few reasons: 1) it's plausible that it would have gone unnoticed by Yoren, who may simply have been given the cage with the prisoners already in it, without taking note of their appearance; 2) it explains why Syrio changed his face: he saw Arya, and decided it was best that she not recognize him; 3) it explains why Rorge and Biter are so afraid of him: they actually saw him change his face, and thus know how dangerous he is. So yeah, the Syrio/Jaqen theory actually strikes me as plausible now. Not necessarily likely, but plausible. A theory that relies on finding this plausible is, I would suggest, dead in the water. ETA - to expand a little - there are only three prisoners. Each of them is extremely distinctive in appearance: you are never going to fail to notice them, nor mistake them for anyone else. Yoren is sufficiently observant to pick Arya out of a huge crowd, despite her appearance. The notion that he simply wouldn't notice the difference between a short bald guy and a man with multicoloured hair, in a group of three outlandish-looking prisoners, is silly. Plausible or not, I find it difficult to believe Syrio died in kings landing. Martin has a way of killing people descriptively, and those who are not are suspect. e.g. onion knight, sandor, brienne etc. If he doesn't turn out to be jaqen, I hope he reemerges again, could this be the new character pov that is martin hinted at of a returning character possibly? ETA: And Syrio is dead, baby, Syrio is dead. Good reading. If you manage to go through all that, you should have a comprehensive view of the usual arguments, in any case. the most likely candidate to recommend someone from bravos is Varys. Varys has connections through Illyrio to the FM, (or Illyrio is seen with both the FM, and Varys to be precise). The FM would probably jump at a legit opportunity to get an assassin in the red keep. Ok, that's a good point, I didn't think about Yoren's ability to pick out Arya. That said, have you ever heard of change blindness? It is, according to my limited understanding of it, the inability to notice changes to things we are not paying attention to. Another way of putting it is that when the human brain isn't specifically paying attention to something, it often fills in the gap in its memory of it with what it thinks it ought to have seen. There've been experiments run where people speak directly to one person behind a desk, who then ducks under the desk to "get something", only for a completely different person wearing different clothes to come up from behind the desk. And somewhere around 70% of people fail to notice that it's a completely different person! Of course, it's doubtful GRRM knows about this psychological phenomenon, and even if he did his story still needs to be plausible to those readers who don't know about it, which is likely most of them. The only other fanwanking I could come up with would be that the lighting conditions were low in the cage, or that Yoren wasn't actually there when the cage was loaded onto his cart. But that's all baseless, and perhaps implausible, speculation. When is Illyrio seen with a Faceless Man? Arya's first AFFC chapter, she pours for a man matching illyrio's description. The fat fellow had fierce black eyes, a hook nose, and a wide mouth full of yellow teeth. The stern face never smiled; his eyes were pale, his lips full and dark. Actually that doesn't match Illyrio's description at all. I have never really believed that Jaqen and Syrio were the same person. However, I recently watched episode 6 of the teevee series, and Syrio's comments in it about the god of death now make me wonder. Are they they same person? There is no way that it's a coincidence they put that line in there; in a teevee show with as much material to cover as they have, every line of dialogue must surely be welkl thought out and argued over before being given to the actors. No way this was chance. 1) GRRM told them that Jaqen is Syrio. 2)They are messing with us. I personally don't believe 2 is the right option. Sure they may have a sense of humor, but spending a line of dialogue just to mess with fans when it may never pay off in the long run strikes me as being wasteful. Surely they wouldn't do that. 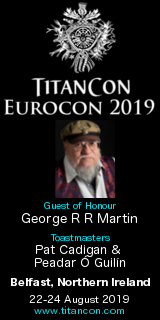 So we are only left with option 1, that they confirmed with GRRM about this issue and he gave them a striaght answer. Believe me when I say I would rather prefer that Syrio and Jaqen remain two different people, but in light of this new evidence it doesn't seem to be the case. For me, I suppose it's possible, but unlikely. I really hope it's not true, too. I liked Syrio as a character, but I also hope that he's dead. Syrio was proud, he was a Braavosi swordsman (and there seems to be a clear distinction between the very overt duellists in Braavos, and the Faceless), and he also seemed *genuine*. Syrio's scene with Arya always seems to me to be an important part of Arya's development. Syrio teaches Arya to see what is real, without romance or false hope. I always find the line where Arya truly looks and sees the situation; that Syrio has a wooden practice sword, no armor, that while he's more skilful and *should* win if life was fair, this is not a fairytale. I made a new topic about this but it appears to have been deleted for some stupid reason. It was deleted because there is a forum specific to the television series. The comments made by Syrio in that episode don't necessarily point to Jaqen, and there is a third possibility. Syrio is a Water Dancer from Braavos; I'd find it highly unlikely that he wouldn't know about the god of death. thin glimpse of crooked yellow teeth through the gold of his beard. she doesn't mention his beard or rings. and how many fat yellow-toothed people can afford the price of the facless men? I don't think that you have to be rich to hire a faceless man. If I recall, the cost is proportionate to the wealth of the one paying. Ok, but notice how the man in Arya's chapter is never described as having a forked yellow beard, which is a pretty damn distinctive feature. Also remember that Arya has actually seen Illyrio before, in the bowels of the Red Keep, yet she never remarks that he looks familiar in AFFC. I'm pretty sure than in the world of ASoIaF, there are many fat men with yellow teeth. Illyrio can't possibly be the only one. You kid, it's obviously like speaking with a braavosi accent: if you do, you are Jaqen, as only one person is allowed a specific trait in the whole word. I was allways skeptic about that theory even if I never consider it crackpot. But the last episode in the TV series, where Syrio states that there is only one God wich is Death seems a confirmation of the theory. At least, I would say that it confirms some sort of relationship between Syrio and the Faceless Man.